Cultural Appropriation or Joyful Living? I shared the Easter sunrise with my mother on Sunday. She died in 2011, but she was present when I went down to the lake. I was overcome by emotion—not because of her presence, which was sweet and quiet, but by the simple beauty of a sunrise over Lake Michigan. It never fails to move me. My mother introduced me to the spirituality of an Easter sunrise—particularly from a shoreline—when I was about ten. Our family had recently moved to Italy for my father’s international work. During spring vacation our family drove to Sorrento and camped in a tent. My mother woke me early and the two of us crawled out of our tent, leaving my dad and brother still snoring in their sleeping bags. We found some rocks to sit on and quietly watched the world awaken as the sun rose. Sorrento does not face east, but it didn’t matter. The moment was magical to us both. Part of the magic for me was that my mother had shared something that was very meaningful to her without saying anything. I understood what it meant to her because I could see and feel her quiet joy. My mother was raised Muslim in Iran. She neither embraced nor renounced Islam, nor did she convert to Christianity. She simply incorporated joyful traditions and spirituality from multiple faiths. Easter and Christmas were as important to her as Norooz (an Iranian holiday from ancient times, and not a Muslim one). What some people today would call cultural appropriation, to her was joyful living. She was multicultural in a way that I have never seen in anyone else. She moved easily between cultures, adapting to the circumstances. She lived in multiple countries on several continents at a time when few did so, and she was drawn to all that was joyful. My mother was raised in northwest Iran, and her first language was Turkish. Her parents—both Iranian—were well-educated in the 1920s and they worked with American Presbyterian missionaries in the region, helping to build and develop hospitals, schools, and experimental farms. My mother’s playmates in her early years were both Iranian and American. Later, her family moved to another region of Iran and my mother learned Persian for the first time, around age eight. At first, she felt like a foreigner in her own land because she did not understand anything at her new school. But she adapted, and in high school she also learned English and French. She earned a degree in education from the University of Tehran in the 1940s, worked for a couple of years as a teacher in Tehran, and in 1949 obtained a scholarship to attend a Teachers’ College in Missouri. Then she got another scholarship for a Master’s degree at the University of Nebraska, where she met my father, a Canadian who had grown up in a tiny Icelandic village along the shores of Lake Winnipeg. Their life together moved them from Lincoln, NE (where they met as foreign students) to Saskatoon, SK to Ottawa, ON to Madison, WI to Winnipeg, MB to Tehran, Iran and eventually to Rome, Italy, where I spent my formative years. I do the work that I do—helping people foster more meaningful and effective interactions across differences—in the singular way that I do it because of what I learned from observing my mother. I learned not from what she said, but how she lived. She experienced the same childlike joy from roasting marshmallows over an open fire in Canada as she did from buying roasted chestnuts from street vendors in Italy, or roasted corn-on-the-cob in Iran. I am anchored by the way she experienced and shared simple joy, regardless of the setting. I am uncomfortable with identity politics not because there is anything inherently wrong with it, but because it is insufficient to foster meaningful connections and understanding. It is a necessary first step, but more steps must follow. There is value in recognizing themes that run through the experiences of all women, or all African-Americans, or all coal-miners. But we also need to move beyond group identities to explore individual experiences if we want to connect and collaborate. “Deep listening is so obvious to begin and so elusive to maintain… It is to keep emptying and opening. To listen is to give up all expectation and to give our attention, completely and freshly, to what is before us, not really knowing what we will hear, or what that will mean. Copyright © 2019 Sharon V. Kristjanson. All rights reserved. The best way to make it a non-issue is to speak from the heart. It’s not about what you say but how you say it. The purpose of a greeting is to say: “I see you and want to give you my best wishes.” The purpose is to make a connection. This isn’t about political correctness. It’s about awareness of the other and that the other person might celebrate something different (or the same thing differently) than we do. When we say to a friend: “Hey, you must be so happy that your sports team won the game!” we are showing that we know what the other person cares about. So, too, with holiday greetings. When we know what another person celebrates (be it a holiday or a sports team), we honor that person by acknowledging it and greeting them appropriately. When we don’t know, a more generic greeting can convey the same good wishes. What matters is that we speak from the heart. Greetings are a way to engage and connect. When you keep the focus there, the path forward is clear. At the root of it all, we are sharing joy. 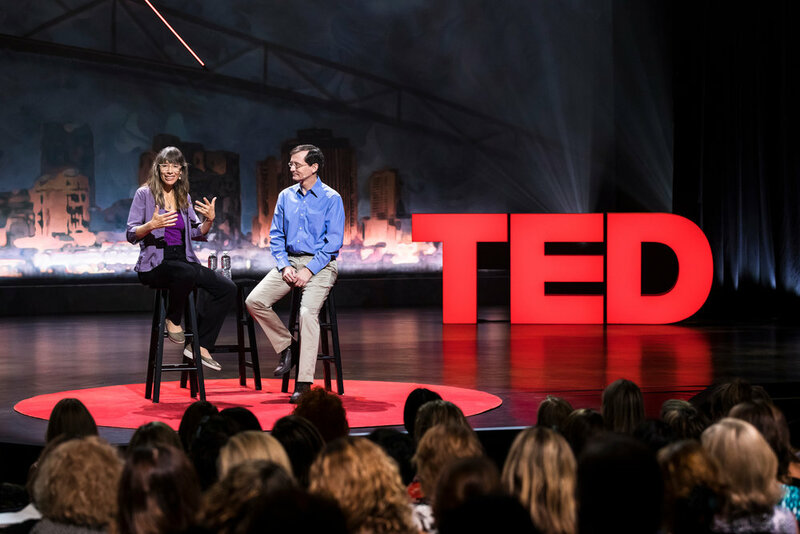 I recently returned from the TEDWomen conference in New Orleans. 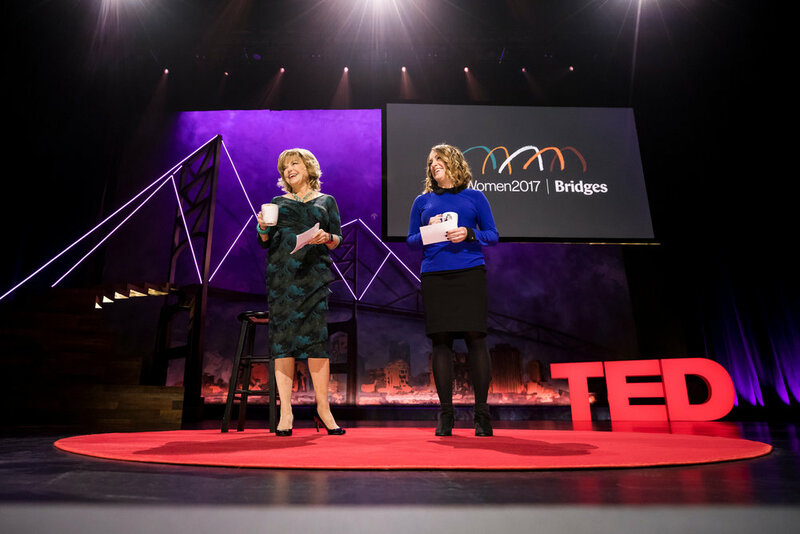 TEDWomen is a three-day conference about the power of women and girls to be creators and change-makers. The stories on stage were inspiring, and the connections we made in the gathering spaces were also enriching. We were there to learn from each other as much as from those who took the stage, so we did not hesitate to strike up conversations with people we did not know. The entire three-day conference felt like a warm embrace. Since returning I have wondered how we can foster more of that same trust and openness in our daily lives. As I reflect on what works and what doesn’t, I realize that it doesn’t take much. We just need to ask questions that cause the other to reflect before answering. We spend so much time actively thinking about how we present ourselves to the world; and with friends and family we tend to unload. Imagine if we spent just as much time inquiring about what is vital and meaningful to another person. It doesn’t have to be a touchy-feely question. It simply needs to be an open-ended inquiry that makes space for the vitality of the other to bubble forth. Need suggestions on open-ended questions? Consider The 36 Questions that Lead to Love and in your mind replace the word “love” with “connection.” The other person does not need to be a potential romantic partner, nor do you have to ask all 36 questions. The idea is simply to ask questions that open the door for the essence of the other to enter the space. This is where connection and possibility take place. Copyright © 2017 Sharon V. Kristjanson. All rights reserved.